Official spot rate maintained upward trend on the cotton market amid strong demand mills and exporters, dealers said. Official spot rate raised by the Karachi Cotton Association (KCA) by Rs 50 at Rs 5850, they added. 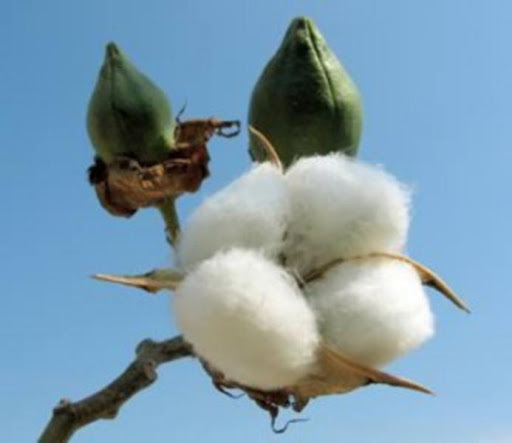 Prices of seedcotton in Sindh were unchanged at Rs 2000-2400, same trend was seen in the Punjab as rates of both inferior and best types were inert at Rs 2100-2800, they said. Over 5000 bales of cotton changed hands between Rs 5400-6200, they said. Market sources said that supply of cotton is tight, which helping prices to move up day by day, they added. As a whole, demand for cotton increased by the foreign sources and this factor caused bring stability in the rates, they said. Commenting on the news that India has marginally raised cotton production estimates to 34.7 million bales of 170 kg each for the current year to September from the earlier forecast of 34.5 million bales, Naseem Usman said that despite slight rise in cotton output prices may maintain present trend in the market. Besides, exports of cotton from India for the current year has also been raised to 11.5 million bales from 8.4 million bales estimated earlier. According to the Reuters, on Tuesday, the NY cotton futures settled higher on speculative short-covering as the market rebounded from its fall to a month low, with strength in outside markets giving fibre contracts a boost, traders said. Global stocks surged as forecast-beating results of some major US companies spurred upbeat sentiment. The benchmark May cotton contract on the ICE Futures US exchange rose 1.35 cents or 1.5 percent to finish at 89.43 cents per lb, dealing from 87.42 to 90.13 cents. On Monday, the contract sank its 4-cent daily limit to end at 88.08 cents, the lowest settlement close for cotton since March 20, according to Thomson Reuters data. The following deals were reported: 1000 bales of cotton from Shahdadpur at Rs 5400, 268 bales of cotton from Tando Adam at Rs 5500, 400 Khanewal at Rs 5700-600, 200 bales of cotton from Vehari at Rs 6000, same figure from Multan at the same rate, 400 bales of cotton from Hasil pur at Rs 6000, 2000 bales of cotton from Sadiqabad at Rs 6000-6200, 600 bales of cotton from Chichawatni at Rs 6100 and 200 bales of cotton from Rahim Yar Khan at Rs 6150, they said.